My mom and I sat at Reef’s table for Savor the Summit this year. A smiling welcoming committee made up of the Israeli owner and her father greeted us by handing over two envelopes and two roses. “Follow the instructions inside!” they encouraged with huge grins. 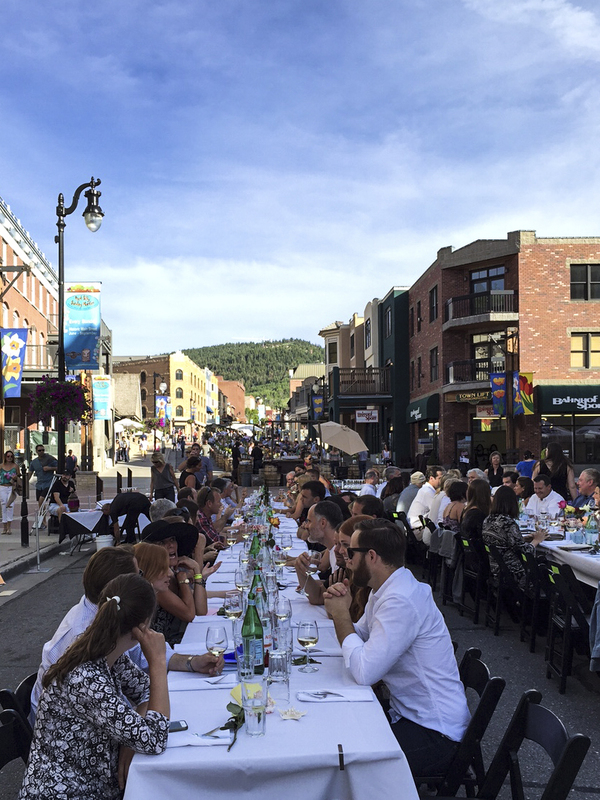 We were led to our seats at the classic long table that is the centerpiece of the Savor the Summit event – Main Street in Park City is shut down to automobile traffic, opening it up to a wonderful ‘Eat in the Street’ evening. We decided to start with a cool and refreshing Italian Pinot Grigio, perfect closure for the hot day. 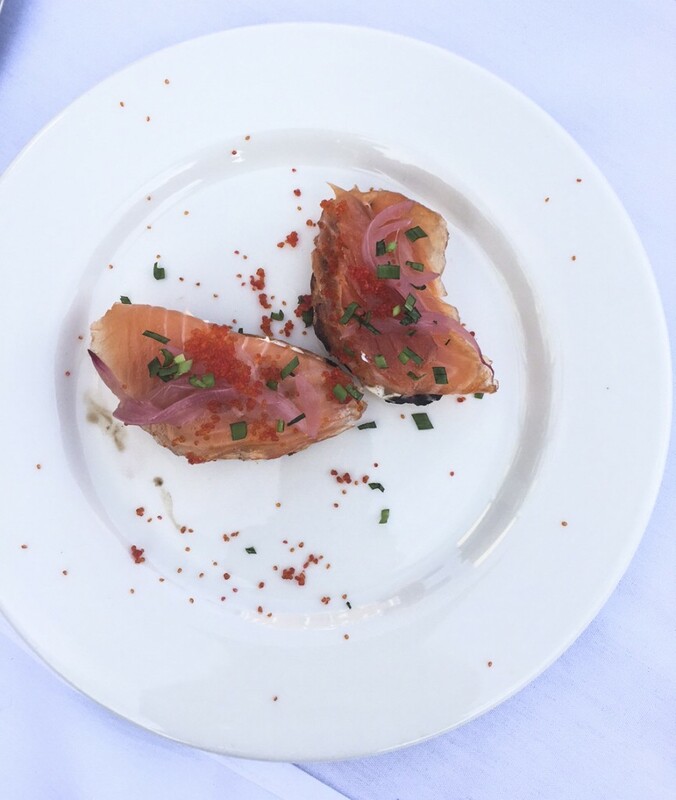 The warm evening had everyone in good spirits, and as the sun set over Main Street, servers brought around smoked salmon crostinis for the first course. 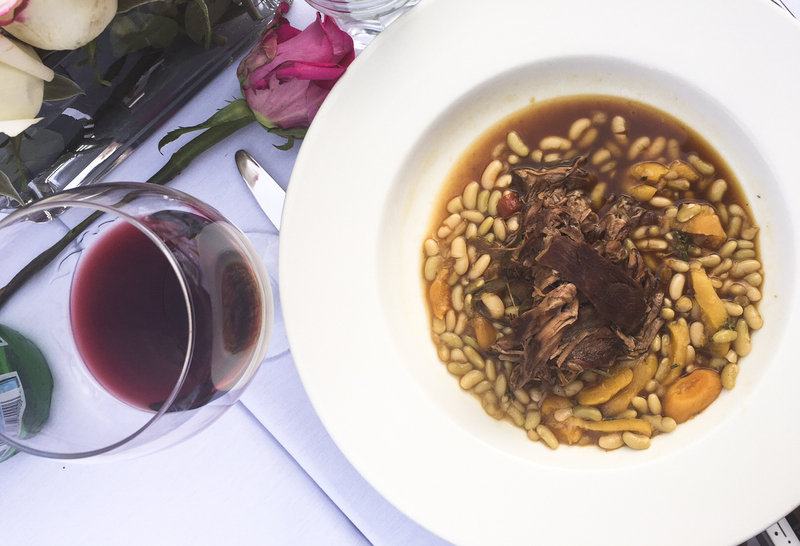 As the night progressed, we tasted several other wines; a Côtes du Rhone, and an Israeli Cabernet Sauvignon that was my drink of preference for the remainder of the meal. 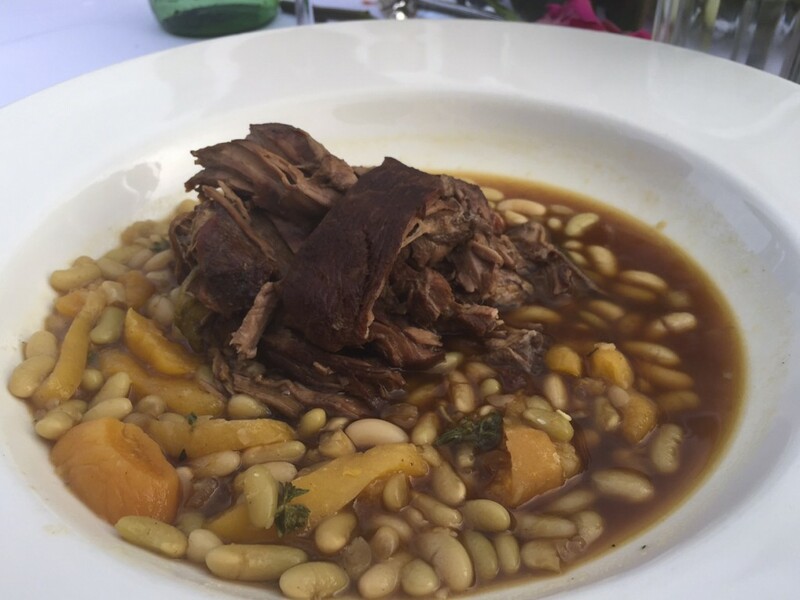 As a main course, my mom ordered the sweet and juicy rack of lamb, served over a lightly spiced mixture of beans and cooked apricots. 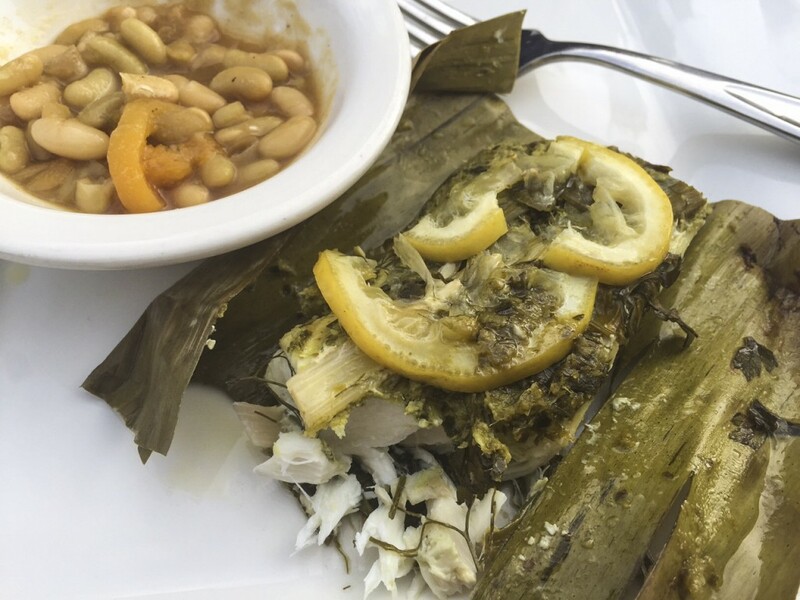 The most memorable dish of the evening was my halibut, which had been steamed in a bright green banana leaf, with lemon slices, leeks, carrot greens, and a kick of spicy green curry on top. 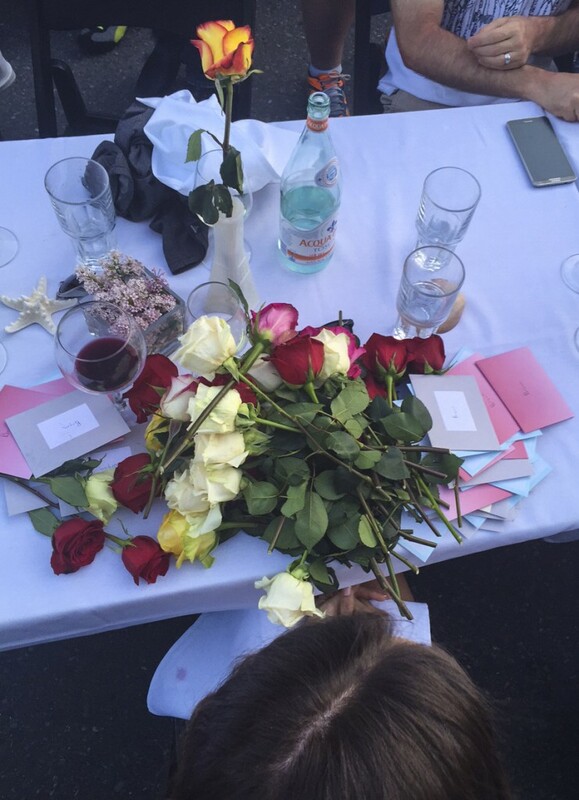 After the main course and before dessert, people started getting up to deliver the envelopes and roses to Bryn, whose boyfriend was proposing to her that night. After everyone had delivered Brent’s messages to her, he asked her to marry him right then and there. She said yes!! Everyone snapped photos and cheered as the servers brought around a light fruit salad flecked with mint leaves. We relaxed and conversed with our neighbors and drank more delicious Israeli wine as patrons started to drift off to different after parties. This family owned restaurant put on a great evening, which I’m sure will be remembered for years to come by Bryn and Brent. We enjoyed Reef’s hospitality and will be sure to check out their daily menu on our next visit to Park City!